Today was Day #3 of Chocolate and Peanut Butter Theme Week. Theo Chocolate (Seattle, WA) produces a line of chocolates and bars made with fair trade cacao. 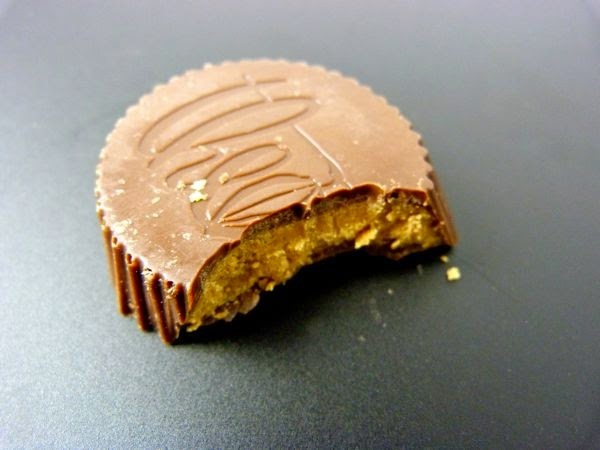 Building on that distinction, the company called today's chocolate(s): "the first fair trade peanut butter cup." 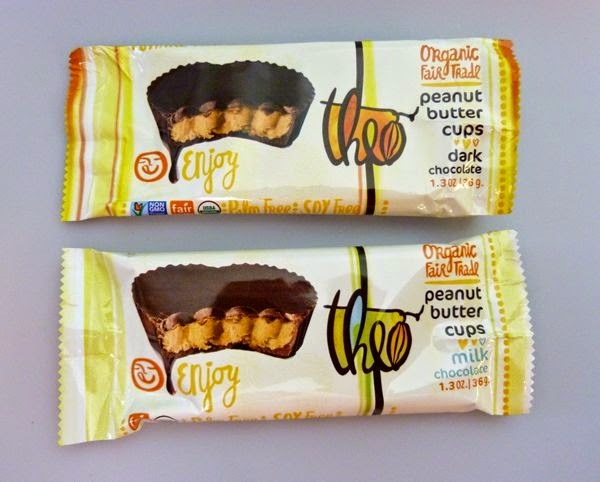 Today I'm featuring Theo's Organic, Fair Trade Dark Chocolate Peanut Butter Cups, and the Milk Chocolate version of these Non-GMO, palm free and soy free, filled chocolate cups. Both were slightly heart-shaped cups. Theo Chocolate makers partnered with CB's Nuts (a nut butter maker) for their peanut butter. I enjoyed the authentic, well balanced chocolate and smooth nut flavors, and less sweet taste. I didn't get the sugar buzz that I sometimes get from eating other brands -- a good thing. The dark chocolate aroma was more akin to one of Theo's bean-to-bar, dark bars than commercial candy bar chocolate, without any trace of acidity or bitterness. The milk chocolate were also smooth and yummy. 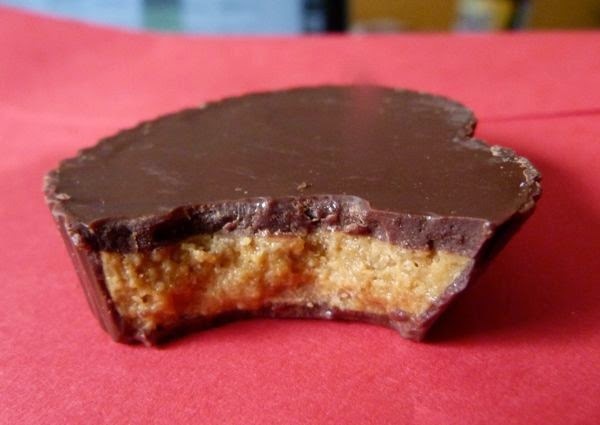 I certainly wouldn't mind if my homemade nut butter cups tasted this smooth in flavor and texture.